However, I spent the night time espcaping of the world tense in my books. 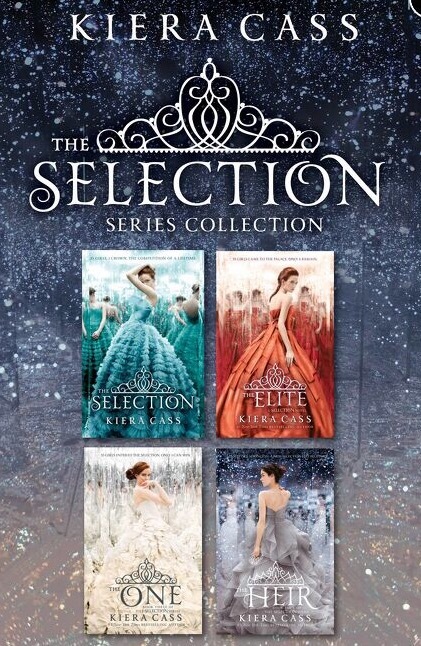 I’ve been reading The Selection series by Kiera Cass. It’s a really awesome one of all the books I’ve read. I read before the selection but suddenly I felt like rushing into the whole series. I am now about finishing the fourth book , The Hierd. It’s breathtaking since the beginning. In addition to all the romance and perfect couples, America and the prince Maxon. It always reflected the royalty and luxurious. Also some good situations that are good examples and offcourse politics took place. Also the way how the prince fixed such a broken society ruled by money and castes. Maybe it didn’t stand long but it was enough to. The series started by For thirty-five girls, the Selection is the chance of a lifetime. The opportunity to escape the life laid out for them since birth. To be swept up in a world of glittering gowns and priceless jewels. To live in the palace and compete for the heart of the gorgeous Prince Maxon.